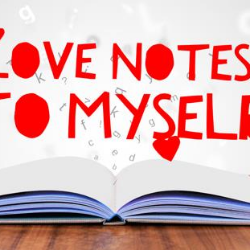 During this workshop you will create a beautiful Love Notes to Myself book to remind you, at any time, that you are a mighty expression of Love. On days when you're feeling that you're not enough, a Love Note can touch your heart and be a potent reminder that you are deserving, you are beautiful, you are perfect just the way you are -- right now. A $20 fee covers all supplies.